The 20th century was rocked and shaped by conflict. 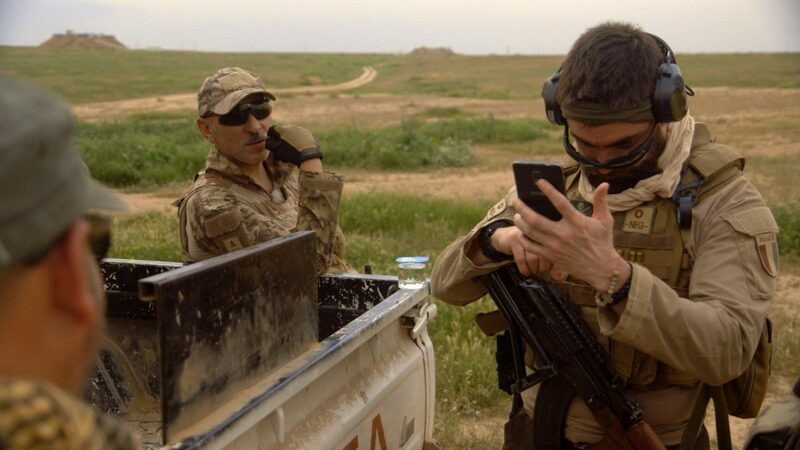 From Korea, Sudan, Afghanistan, Vietnam, Lebanon and the former Yougoslavia (among others) to the first and second World Wars, the NFB has witnessed and assiduously documented war and its many aftermaths since its foundation, in 1939. 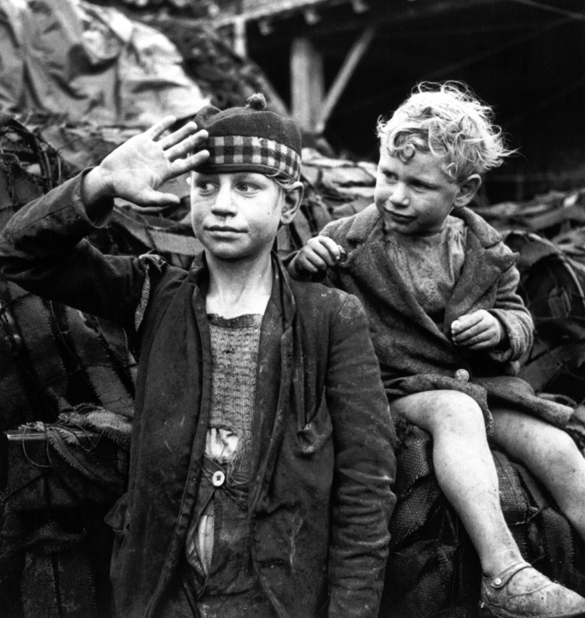 As we remember our veterans this week, check out a selection of 10 WW2 photos freshly retrieved from our archives. Snapped between 1940 and 1945, these photographs depict Canadians who took part in the war in various ways – fighting the enemy, nursing the injured back to health, or even knitting socks for our troops. Private Jack Bernard, B.C. Regiment (Duke of Connaught’s Own Rifles) saying goodbye to 5-year-old son Warren. New Westminster, B.C., 1940. 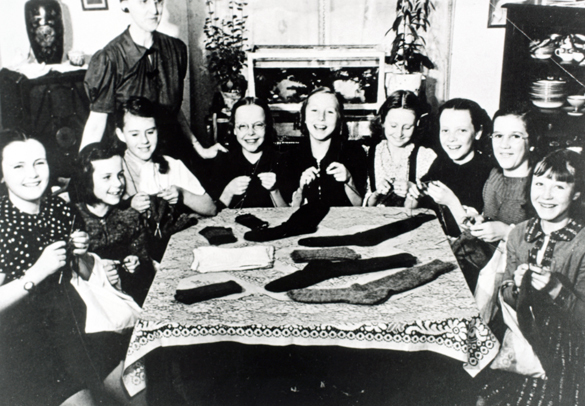 The “Little Happy Gang” children’s knitting club, knitting wool items for Canadian soldiers and the Canadian Red Cross Society. Moose Jaw, Saskatchewan, May 1940. 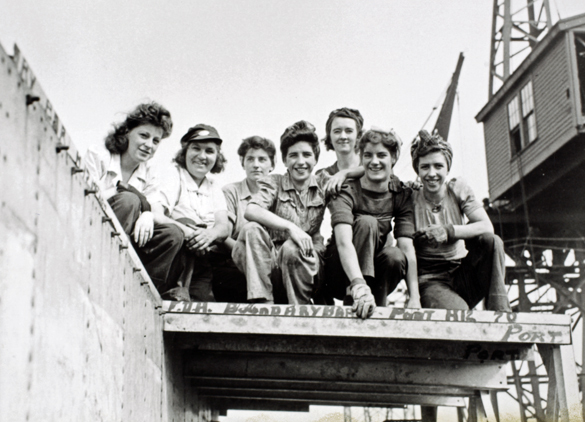 Women shipyard workers, Halifax Shipyards. Halifax, Nova Scotia, September 1943. Group of R.C.A.M.C. 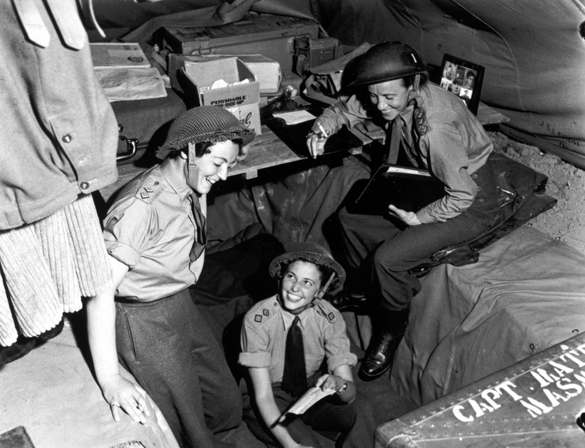 Nursing Sisters in a tent. Caen, France, 4 August 1944. Sgt. 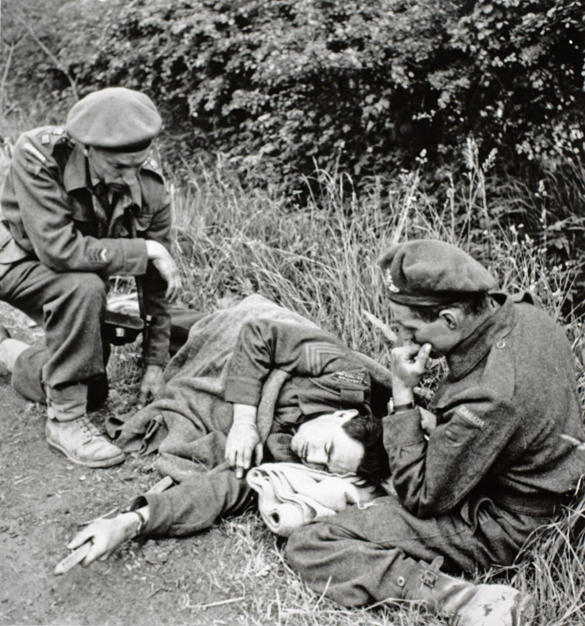 WG Grant lying beside road with broken leg being given first aid by Captain C. McDougall and Pte. MW Tregany. Bayeux, France, 14 June 1944. Unidentifed member of Les Fusiliers Mont-Royal. 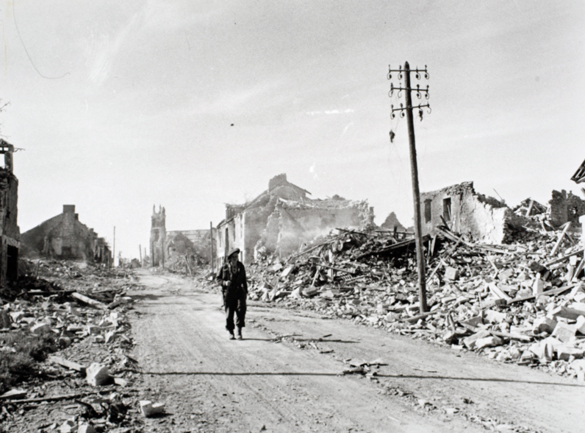 May-sur-Orne, France, 9 August 1944. 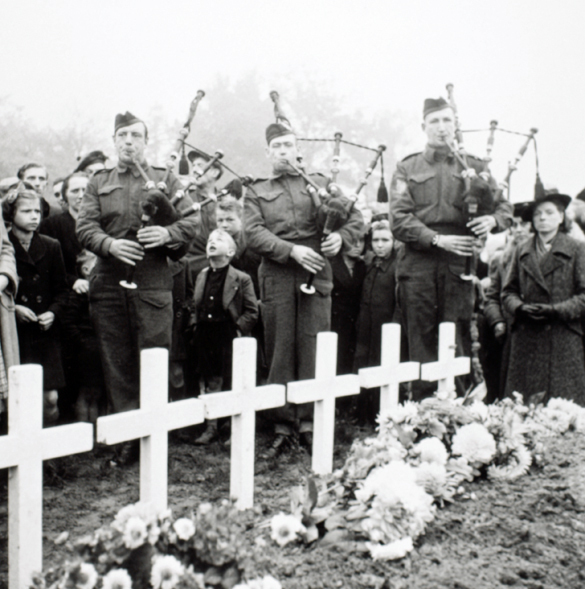 Pipers at the burial of 55 members of A Company, The Black Watch of Canada. Ossendrecht, Netherlands, 26 October, 1944. 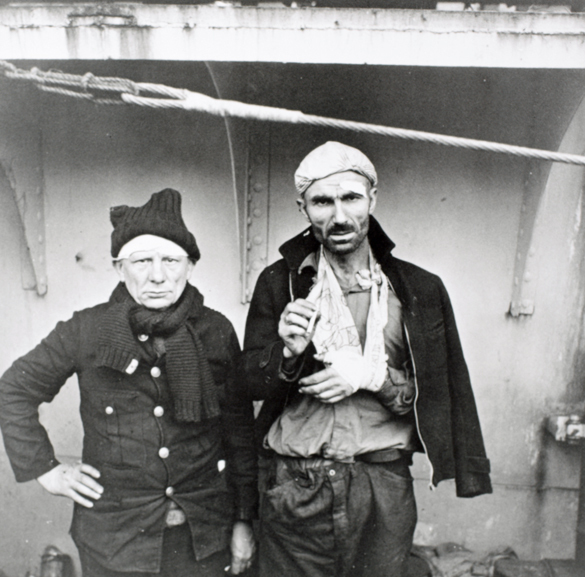 Survivors of a torpedoed merchant vessel. St. John’s, Newfoundland. 15 September 1942. Dutch girls walk arm in arm with Canadians. 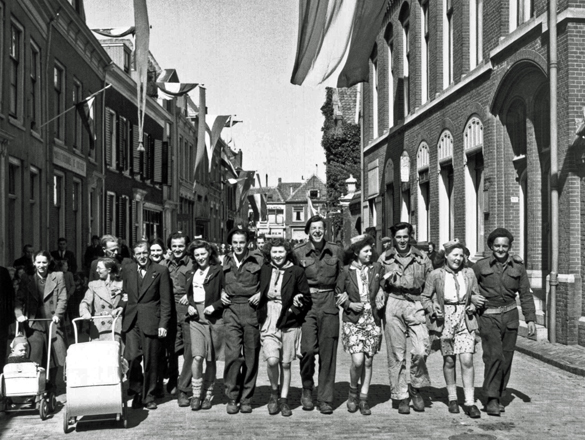 Hardewijk, Netherlands, 19 April 1945. Thank you for posting these beautiful yet horrifying photos of Canadians serving their country. Canada did so much more than people think. 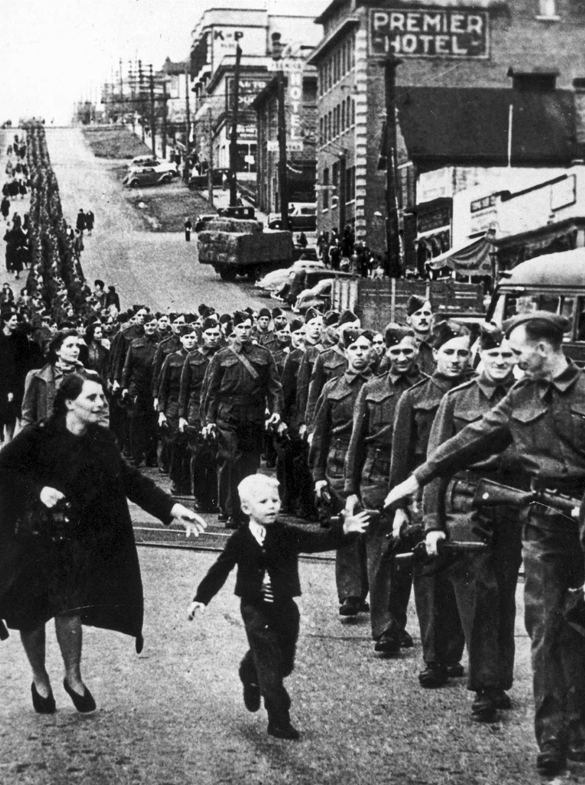 Thank you for remembering the brave Canadians of WW2 servicemen and all involved in the war effort. Discover four acclaimed WWI films produced by the National Film Board of Canada including Donald Brittain's haunting doc, Fields of Sacrifice.